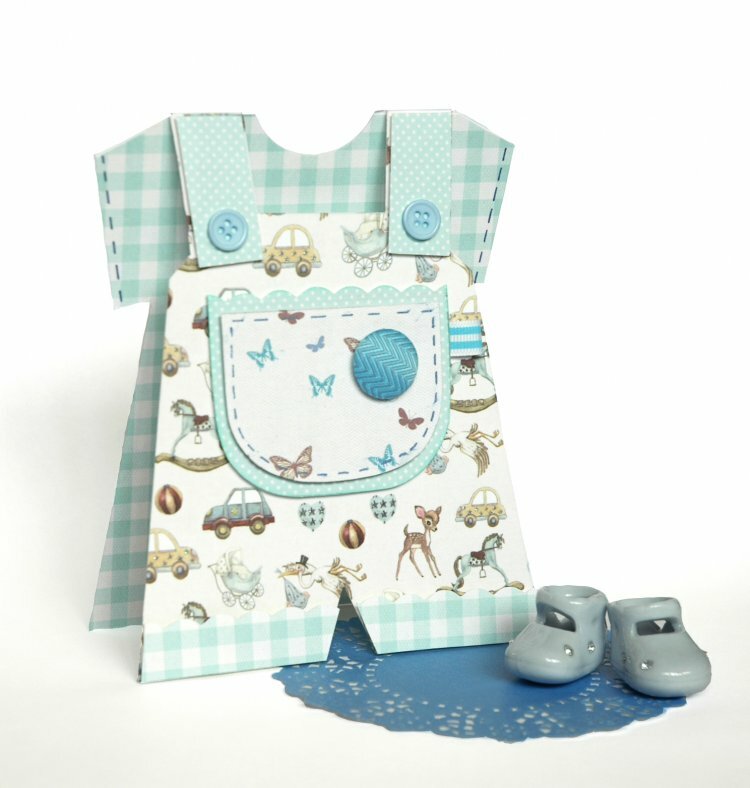 The It’s a boy pad by Cavania is perfect for crafting for young children with beautifully hand painted images. The It’s a Girl pad would also work well for little girl’s dungarees. 1. Print template on white A4 card and cut it out and all the pieces too. 2. 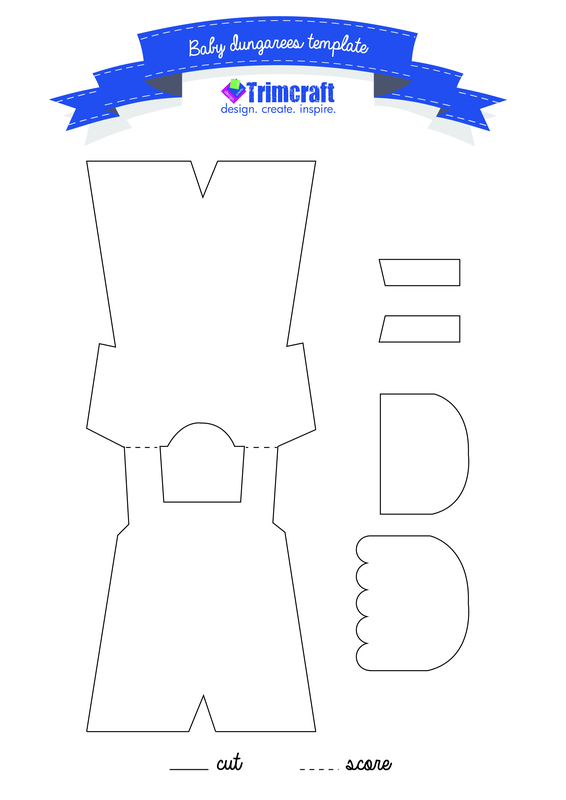 Use the template to create inside, front, pockets and flaps using the First Edition It’s a Boy paper pad. 3. Use foam tape to stick pockets and flaps on and it give the card lovely dimensional look. Before you stick it down use a small piece of folded ribbon to create label at the side of the pocket. Why not try adapting this template for Father’s Day or Gardening themed cards, and then share your projects with us in our project gallery.